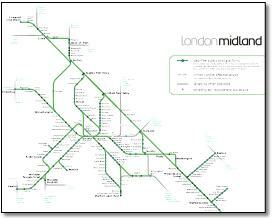 Drawn in the heat of the moment, put together by a Mandarin in Whitehall with a ruler. 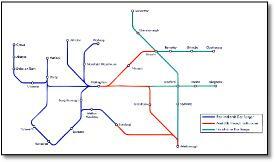 But it's all there! 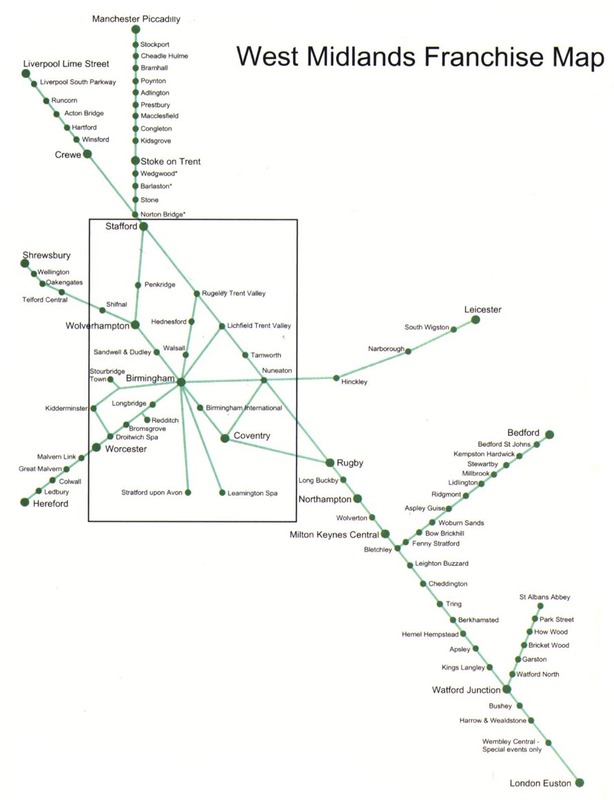 And a nice straight line Euston to Liverpool. 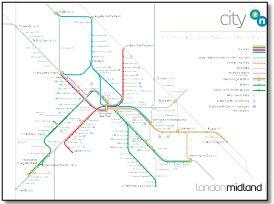 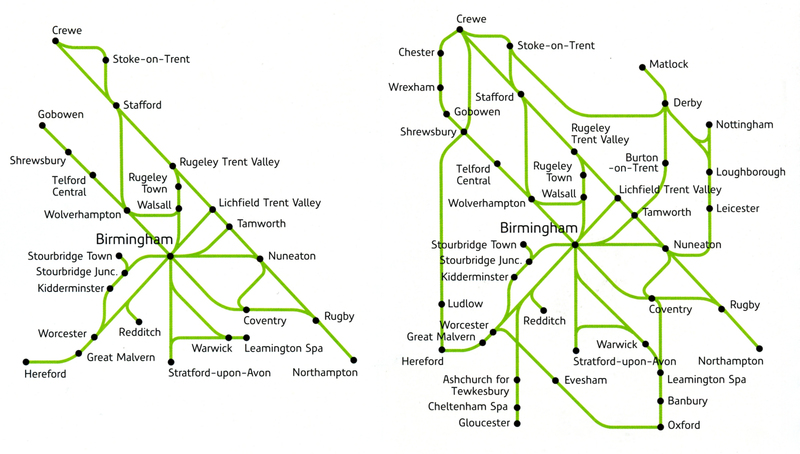 It took two maps to do it but perhaps that right as maps that try to combine national and local routes often fail. 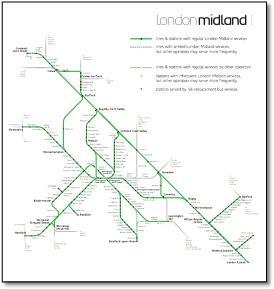 Completely different in style to the other two maps in the leaflet and a bit small to read. 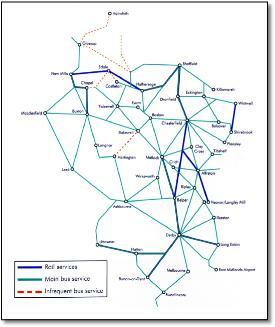 An infrequent bus service to nowhere? 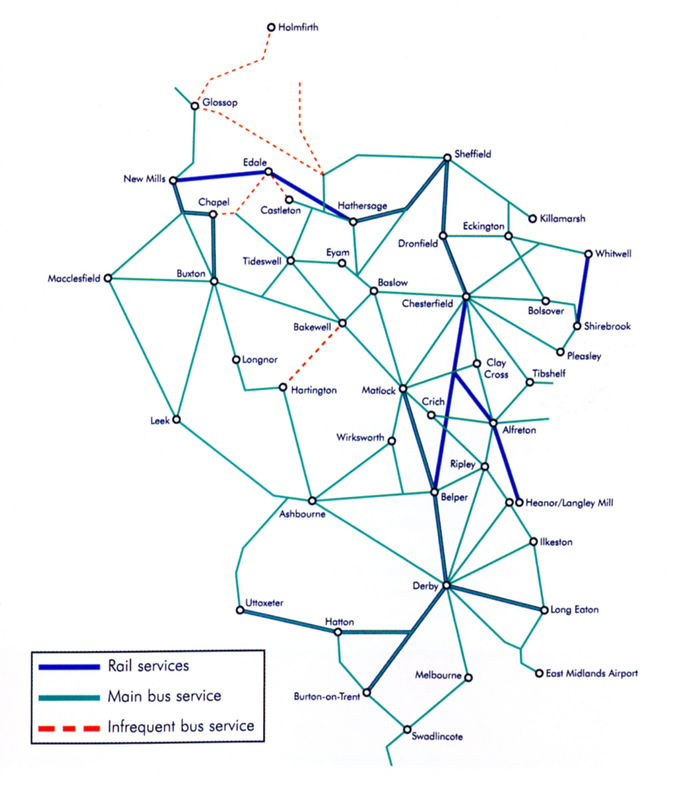 Why use a third colour for the overlapping routes rather than have parallel lines? 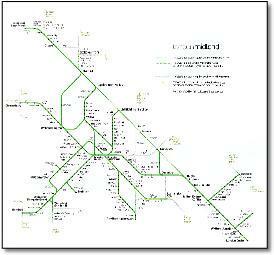 Express outline. 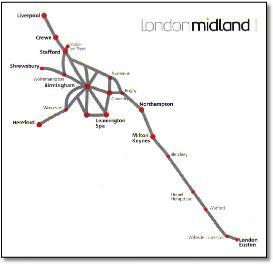 Nice and simple but no Crewe, and Stafford a little unconnected. 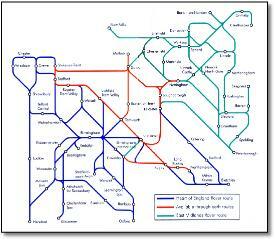 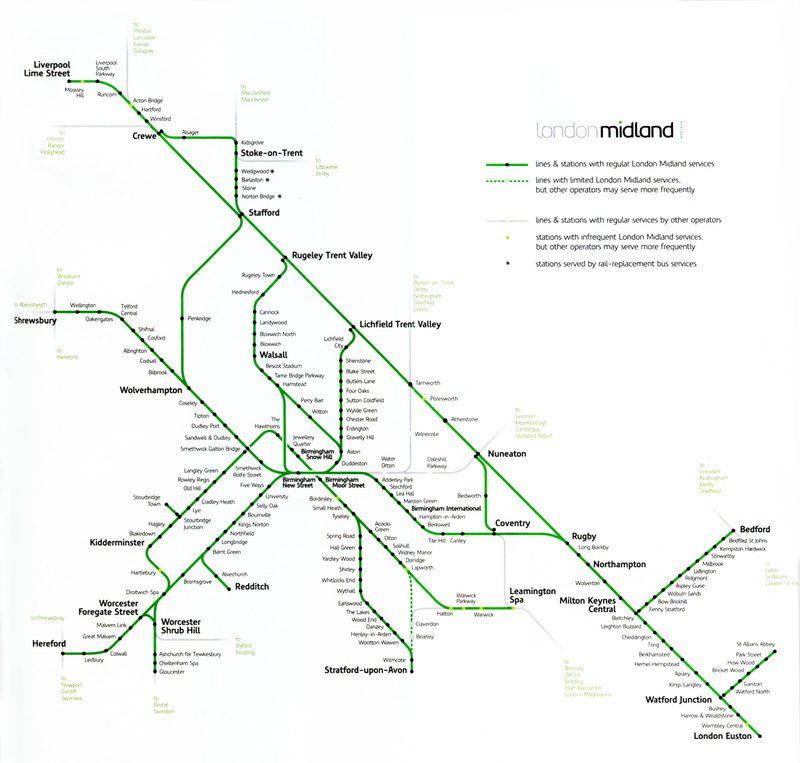 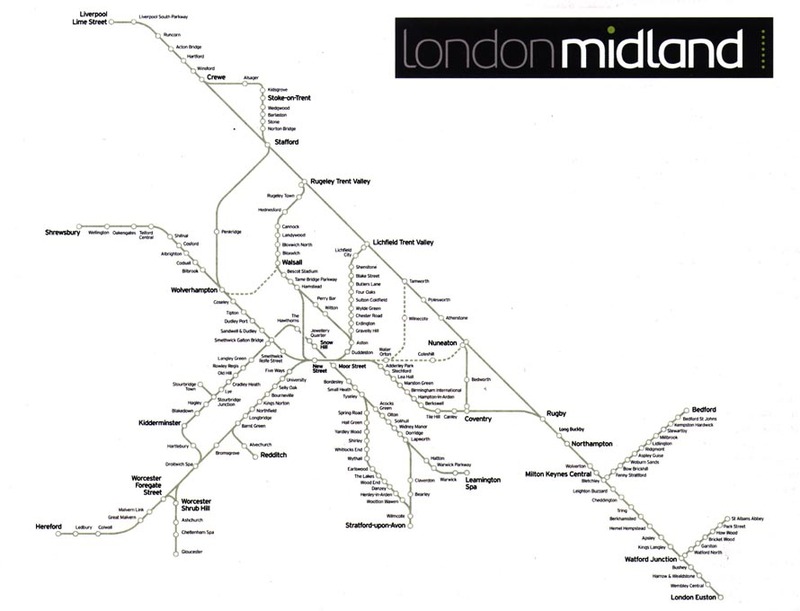 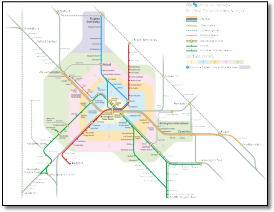 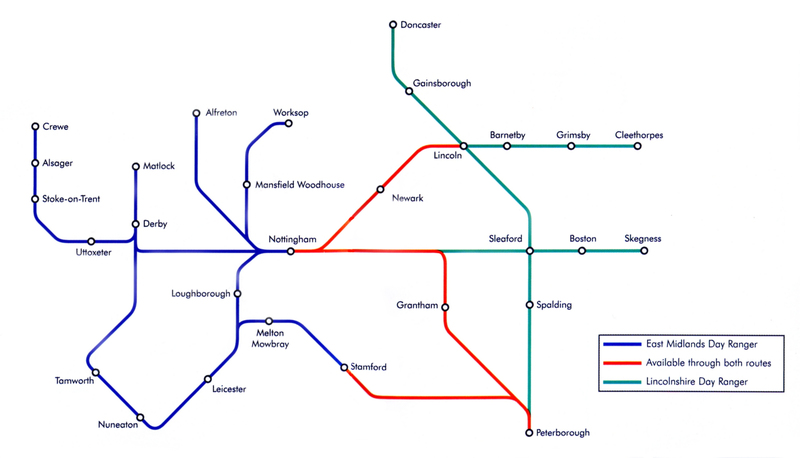 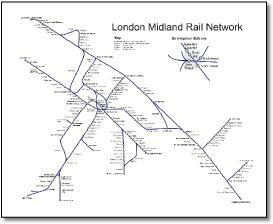 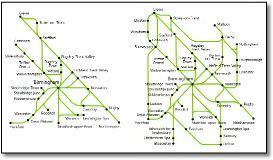 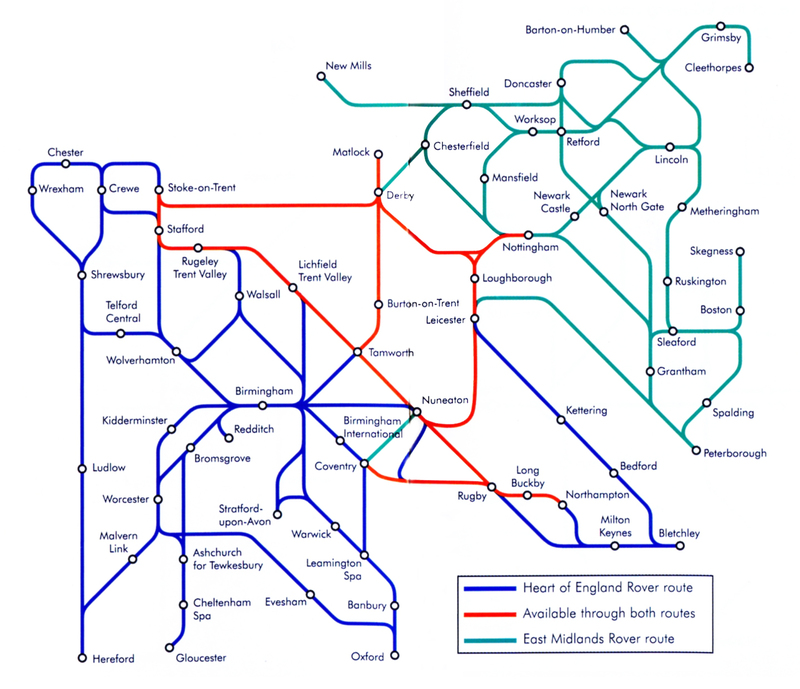 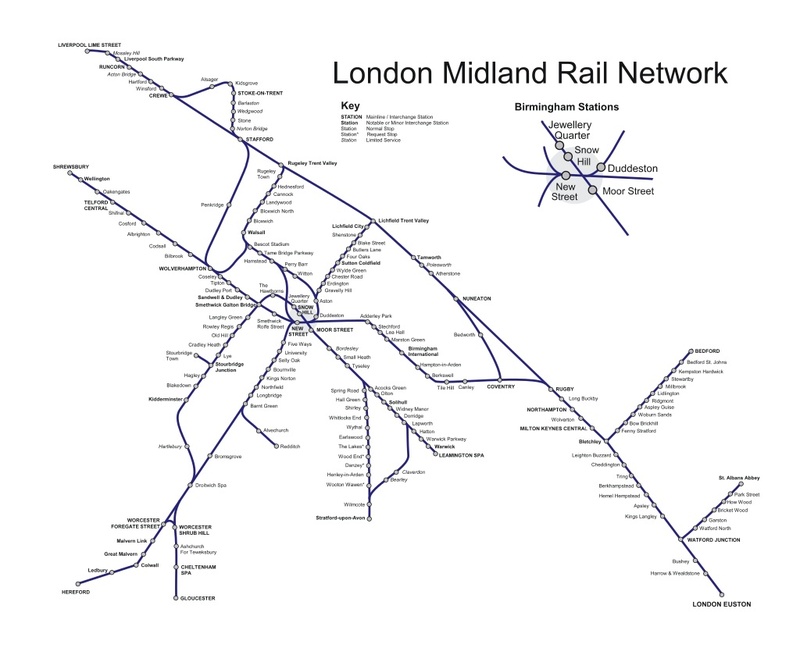 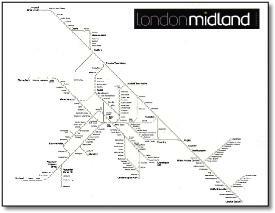 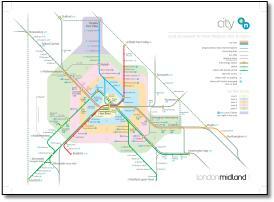 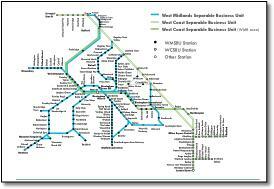 Removes Wolverhampton-Walsall, adds North Staffordshire loop and Gloucester. 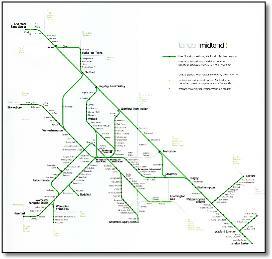 Developed from cruder version below. 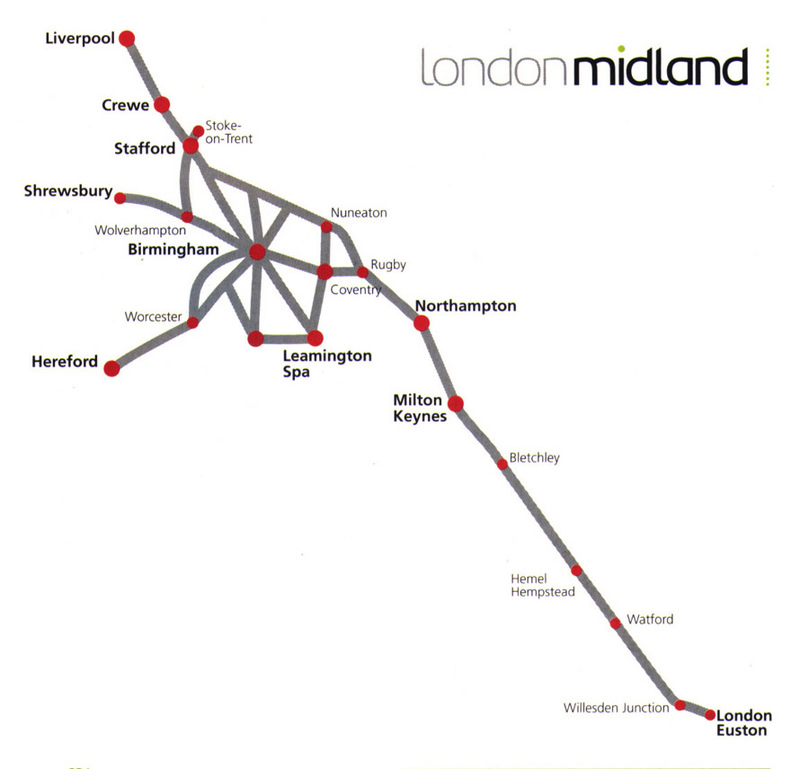 Quite stylish in light grey and has a straight line from London to Runcorn which anchors the whole thing. 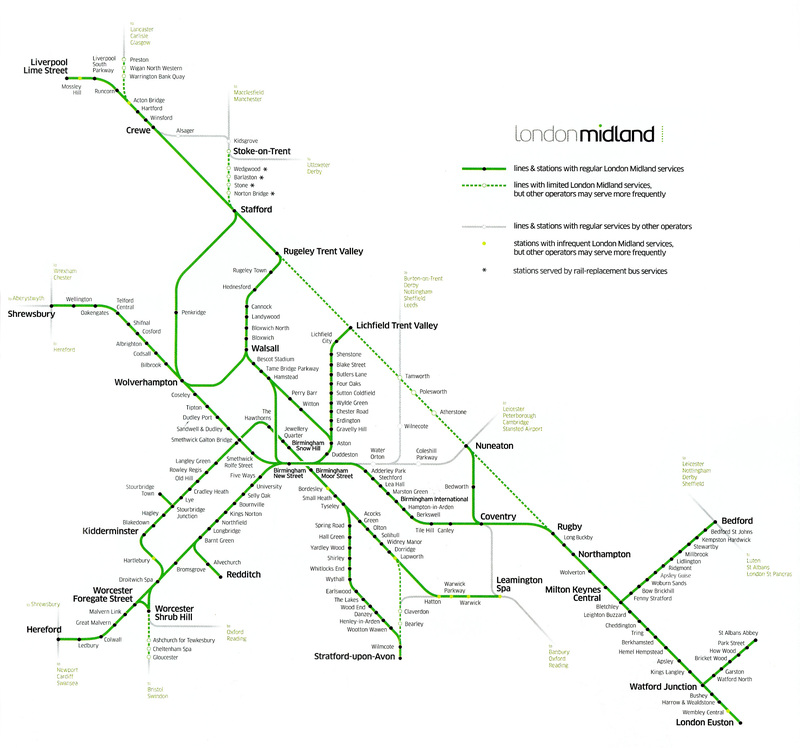 But that light grey does bring up readability issues and the map has a huge void top right - can a map take that amount of wasted space and get used in a practical way? 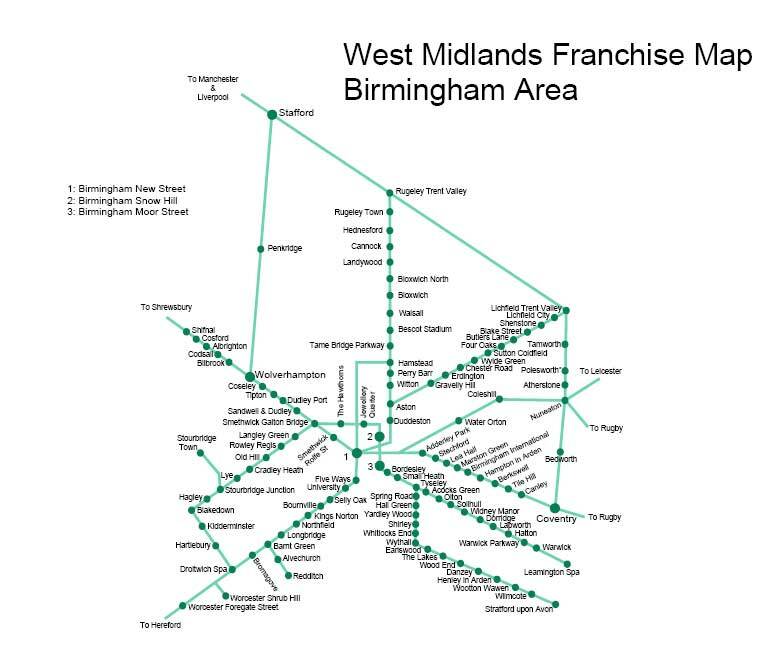 And where is Birmingham - isn't that quite an important place?